We can't say enough about the Parson Red Heads and their upcoming release Yearling, which will be out in mid-August. WYMA will have a feature story on them as the release date approaches. In the meantime, enjoy this video of "Seven Years Ago", a song from Yearling. The video premiered yesterday on Paste Magazine's web page. The song and film captures the Parson Red Heads' beautiful vocal harmonies, melodic guitar sounds, and big-hearted vibe. I think I've got you lot figured out. You liked Friday's outlaw rockabilly just fine, but today you woke up with bit of a hangover and thought "why isn't there any modern, lo-fi slacker twang? If Rocksteady74 was half the blogger he thinks he is, he'd find us some." Well, never let it be said that I don't crave approval, because here is some stuff from San Juan Capistrano, California that fits the bill. Meet the Public Dims. Meet them? Hell, stream their entire EP, Vent Somewhere Else, and then download it for free. 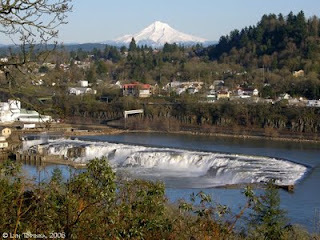 Public Dims are Shaan and Jesse, a guy who plays a guitar and a woman who plays drums. They recorded the album in March of this year, and released it in April. And because we pride ourselves in being among the most technical of the underground music blogs, we want you to know that Shaan and Jesse label their music "Gutbucket Hick Drone". For us, it is a bit of garage, a bit of rockabilly, a bit of drone and more than a little DIY feel. Oh, and I quite like it. We also have the video for EP track "Lorimer". Last Friday we mentioned that New Jersey's Honeydrum is releasing an EP on Amdiscs, Pleasures of the Sun, later this month. In advance of the EP, they have released two singles. The first, released July 1, is "Cruise Control", and we profiled it last week. The second single, "Skin City", is released today. It seems to me to be dreamy, but a bit darker in tone, and I like it. I think my Honeydrum collection will continue to get a lot of play this summer. Honeydrum - Skin City from honeydrum on Vimeo. As we noted last week, you can check out the Tumblr and Bandcamp sites lined below for more music and videos. And here's another track from the album called "Bicycle" that has a groove normal people just cannot resist. Have a good weekend folks. 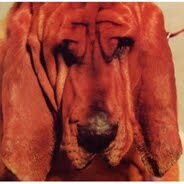 Here are their band website and their Fat Possum site. You can buy their record there, as well as tickets to their shows. Don't miss either. Time for the Soul Corner to get its toes tappin' and fingers poppin' with an irresistible dance jam. The back story here is "the Jerk" had become a popular dance, but in Detroit's clubs, a lewder version of it, called the "Pimp Jerk" had caught on. A fairly obscure Detroit band called the Capitols, who were not affiliated with Motown Records but rather a tiny local label, wrote a song called "Pimp Jerk" in 1966 in the style of dance craze songs of that era. They realized they had a great song on their hands, changed the name and lyrics to "Cool Jerk" and asked their friends in the Motown house band to moonlight and help them record the song. That recording became a national smash hit and an enduring classic, covered by many - including Todd Rundgren, The Go-Go's, and Bootsy Collins - and used in a Cool Whip commercial. I am particularly down with Earl Van Dyke's piano playing here, or as it's referred to in the song, on "those 88s". Now come on everybody, I wanna hear y'all - can you do it, can you do it? The roots of punk may have been in the outlaw fringes of rockabilly. Outsiders' music celebrating the guys and gals who drove and lived fast and didn't care too much for authority. While the nice kids listened to Pat Boone and Ricky Nelson, the pre-punks listened to this stuff. Stuff with serious attitude. If you like this, let me know and we may have a second rockabilly punk edition on another Friday. "Rumble" by Link Wray was a instrumental, but it just sounds bad, in a very good way. Ty Segall's latest, Goodbye Bread, starts out with the title track, a little mournful, but with a nice ragged guitar strumming in the background... and it ends with "Fine", which slowly ramps up from a very psychedelic chorus ("Oh, you know I love, loving is what I do") to a raw guitar solo, before fading out with a finger-picked run behind Segall bidding us farewell...until next time. In between, it travels here and there, with songs that meander and change, but always return to a ragged tunefulness. Honestly, and I may be alone here, Goodbye Bread reminds me of records like Jack Logan's Bulk, Syd Barrett's The Madcap Laughs or Guided by Voices' Bee Thousand: raw pop/rock that eventually, slowly but surely, becomes a record collection stalwart... deceptively lo-fi, but with subtle touches throughout that show a reflectiveness and work ethic you expect from an artist with staying power... somebody like, say, Robert Pollard or Don Van Vliet. Interestingly, it's a very acoustic guitar-based record (with, certainly, some excellent electric guitar runs and a few fairly scorching solos, including the eventually out-of-control outro to song 9, "I Am With You"). A lot of the texture is supplied by reverb on the vocals. But, again, there is plenty of 60's Sonics-style garage-inspired guitar and anyone drawn to Segall by last year's Melted will find plenty of that good, dirty rock sound here too. It's not easy to try for "accessibility" while still teetering on the brink of pure noise, but it's a task Segall accomplishes here. While perhaps not as instantly catchy as last year's Melted, this is a better record overall. I expect it to stay with me longer, and with an artist this young (he's 23) with this much work behind him already, that's a great sign. The Denver group Tennis covers Brenda Lee's "Is It True?" This was my final project in my Masters degree in Architecture. It was born from me exploring my relationship with race, class and architecture. I am from the area and I see the Brixton riots of 1981 indirectly a key driver into me going too uni and becoming/ an architect. So i wanted to retell the story with a Sci-fi twist without the associated 'baggage' of being a young black Londoner. "L'age D'or" by Of Montreal. of Montreal - "L'age D'or" NSFW from Consequence of Sound on Vimeo. The video for "Gone Again" by Best Coast shows women shooting desserts at men. I don't know why. 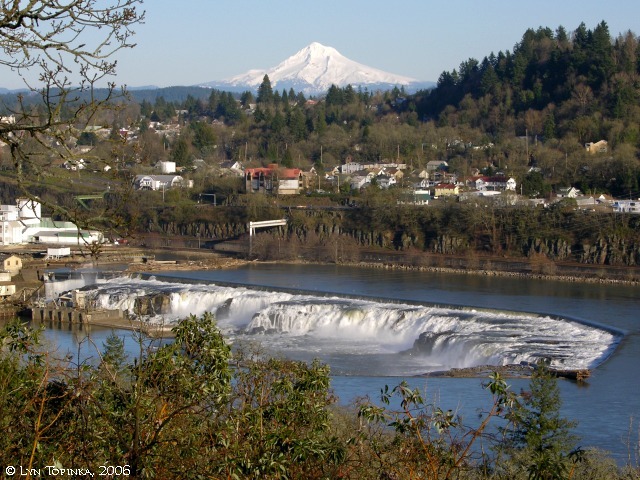 I might feel bad writing about yet another Portland band, but my Portland output doesn't come close to WYMA's coverage of the Seattle scene or Scotland pop bands. 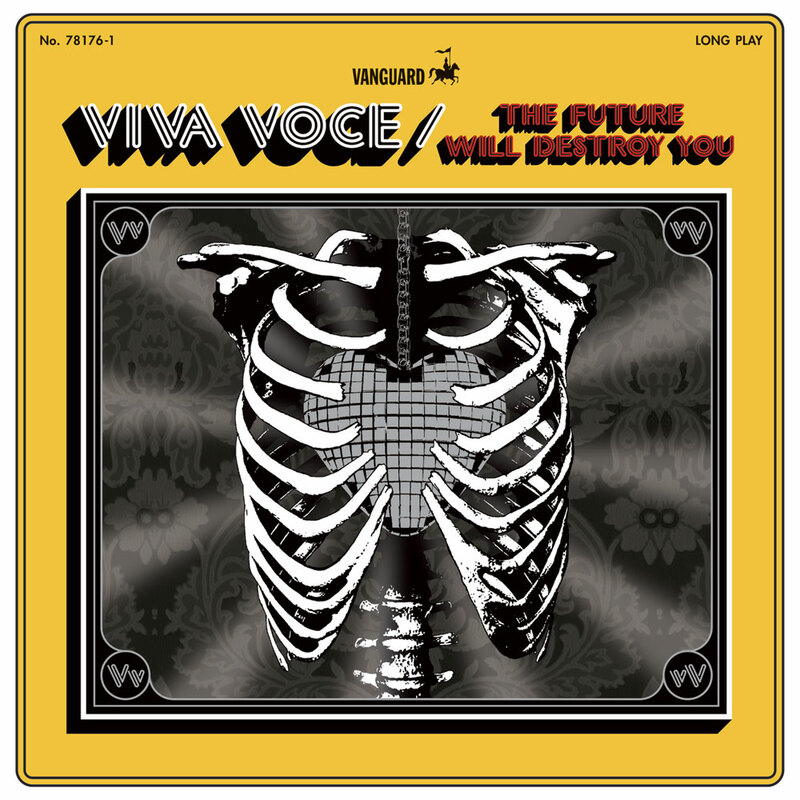 And there are great bands here in my town, including today's featured artist - Viva Voce. Viva Voce are a husband-wife duo, Kevin and Anita Robinson, with quite a musically rich geographic history, starting in Muscle Shoals AL, moving to Nashville, then settling in Portland. They are far easier to enjoy listening to than writing about because they are stylistically difficult to pigeonhole, which is just one reason to love them. Labels like psychedelic, indie pop, folk, soul, noisy, ethereal and more all get thrown at them and all fit at some point. Even though there are just two of them, they play so many different instruments, they are able to constantly change it up and let the sound serve the songs. While very careful in their craft, and deeply steeped in musical history, the Robinsons don't take themselves too seriously either. Their sheer joy in making music comes screaming through the recordings and live performances. 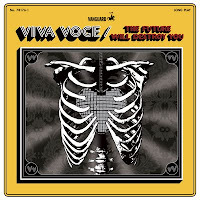 Viva Voce's latest release The Future Will Destroy You, is as good a place as any to start. Every song seems to have its own completely unique sound and style. I can't say enough about Anita Robinson's beautiful singing, which sets them apart from the standard guitar-drums noise rock duo. Her guitar sounds are wonderfully at odds with her harmonious voice - noisy, clangy, harsh then melodic. Ceremony is new to me, although the former band of Ceremony's members, Skywave, was a noise pop/shoegaze band from a few years ago that, to my disappointment, dropped off the radar. The sound of the band boasts fuzzy, reverb-heavy guitars that remind this listener of My Bloody Valentine, A Place to Bury Strangers, and, not surprisingly, Skywave. In my view, the band is a welcome addition to the rock music landscape. The members of the band are John Fedowitz, formerly of Skywave, and Paul Baker, and they are based in Fredericksburg, Virginia. "Stars Fall" was on the album Rocket Fire, released in April 2010. I don't usually get excited about concert DVDs. Typically, they don't provide the feel of a live show, and don't have the production quality of a video. Generally they remind me of watching fireworks through a darkly tinted window with earplugs blocking sound. However, there are exceptions, and a prime example of the exceptions is Stax/Volt Revue Live In Norway. Many believe this concert was one of the best multi-artist soul concerts ever delivered. What makes this DVD so special is the collection of top '60s Memphis R&B talent performing on the same stage in one evening. And this is talent that most of you did not, and never will, have a chance to see live. In early 1967 the Memphis labels Stax and Volt sent top talent to Europe for a three week tour. The subject DVD captures the concert in Oslo, Norway on April 7, 1967, near the end of the tour. Original master tapes were used to render the 75 minute concert for the DVD. The concert begins with the foundation--Booker T. and the M.G.s--performing "Red Beans And Rice" and their big hit, "Green Onion". After Booker and company finish their solo portion of the concert, The Mar-Keys and their horns join Booker T. and the M.G.s on stage for three tunes. With the backing band now comprised of The Mar-Keys and the M.G.s, the vocalists take turns thrilling the crowd. First is Arthur Conley, followed by Eddie Floyd. Both of them are fine performers and their efforts are well worth your time. But the next two acts take the concert to a whole new level. 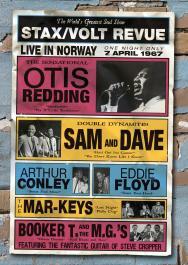 Sam and Dave were top performers and the DVD fittingly showcases five of their songs from the concert. As much as I like all of the other artists on the bill, Sam and Dave's set is my favorite of the concert. The DVD has been available since 2007, but I don't think it has received the recognition that it deserves. René Breton is a project of Nashville residents Ryan Hurtgen (Lead Vocals, Piano) and Tobin Sio (Drums, Percussion), and in addition to the music, they've added art and the written word as part of the package. From their website: Asleep In Green is a composite, conceptual experience of insight and sound. Twelve songs, twelve short stories, and twelve drawings meld to take us on a modern, surrealist journey, which represents the subconscious mind during sleep. Visualized by René Breton’s Ryan Hurtgen, Asleep In Green inspires us to delve into the depths of self-reflection without an intended agenda. It invites each of us to get lost in its fantastical ideas of abstract fiction and subjectively experience its creative body as a personalized, waking dream. I'm sorry, I really don't qualify as an art critic (hell, I'm not even a music critic), but the music is very good. For a nice summer day (at least here in Seattle), we have some quieter stuff from Edinburgh for your consideration. 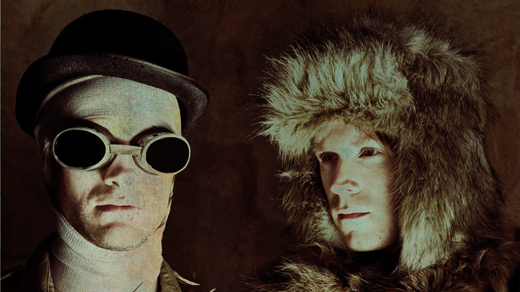 Plastic Animals is an Edinburgh act that describes its music as "noise pop and "alternative atmospheric punk sludge". I hear the noise pop, alternative and atmospheric, and the vocals are rendered in a haunting, somewhat distorted or damaged delivery that works very well with the music. I'm not sure what sludge means, so I won't offer an opinion on the applicability of that term. The members are Mario Cruzado, James Lynch, and Dave Wark. The band was formed in 2006, but hasn't produce a lot of recorded music to date. However, Plastic Animals just released an EP, A Dark Spring, on July 1. Other recordings can be streamed and downloaded via Bandcamp. Seafieldroad is Andrew Eaton-Lewis, a singer with the band Swimmer One. The Edinburgh-based musician records his solo efforts under the name Seafieldroad. The music is emotive, atmospheric piano songs that convey euphoria or melancholy, and is inspired by other singer songwriters such as Mark Eitzel, Momus, Jane Siberry, Suzanne Vega and Steve Reich. If you want hard rocking music, this isn't your artist. But if you want some thoughtful pop with a heart, you're home now. Two song EP Cramond Island Causeway, available free and Bandcamp. There Are No Maps for this Part of the City, the 2010 LP from Seafieldroad. 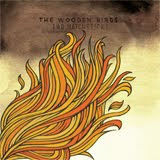 Former American Analog Set frontman Andrew Kenny has made his second full-length as leader of The Wooden Birds, Two Matchsticks. He never sang this much on American Analog records, but the vibe is fairly similar: surfy, understated guitar lines and easygoing song structure. Some of the songs are very catchy, some grow a little more slowly, but they're all well-done. Kenny is joined on vocals by Matt Pond and Leslie Sisson, and they're a good match for one another and for this style of music. In the end, it's the guitars that carry the music, and in that sense, it's not far removed from Kenny's work with American Analog Set. Check out the guitar solo that starts at about 1:40 of "Company Time". It's a perfect encapsulation of what's going on here, and a perfect reason to enjoy this record. Tonight's Midnight World Pop Scout feature bands from Sweden, France/UK, and, for the first time ever, Belgium. Masquer is a Swedish duo consisting or Kicki Halmos and Pelle Lundqvist. They record on MSQR Records. Happiness from Masquer on Vimeo. Underground Railroad is a French band living in the UK. The band consists of Raphael Mura (vocals/drums), Marion Andrau (guitar/vocals), and JB Ganivet (bass), and they record on the UK label One Little Indian. Underground Railroad's 2011 album is an intense work about London and its characters from the view of non-natives. Underground Railroad - Russian Doll from underground railroad on Vimeo. Underground Railroad Rude Awakening from underground railroad on Vimeo. Shindu are two guys and a girl from Belgium and they play upbeat synthpop. The band records on the Kitune label. The music is perfect for the dance floor, a summer drive or a beach party.